The family include about 35 genera and 1500 species distributed in temperature and colder regions of the world. 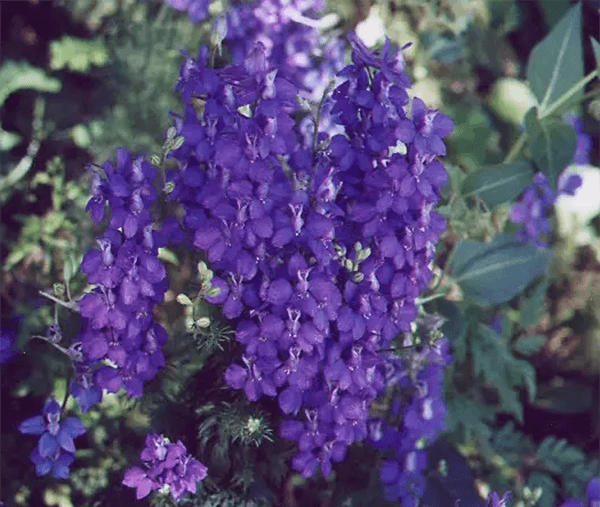 The family includes many common plants such as Ranunculus (buttercup), Caltha (marsh marigold), Clematis, Anemone, Thalictrum (mamira), Delphinium (larkspur), Nigella (kala zira) and Aconitum (monkshood). Mostly herbs with simple leaves, flower hypogynous with free sepal and petals, stamens indefinite and free, carpels indefinite, apocarpous, fruit an aggregate. 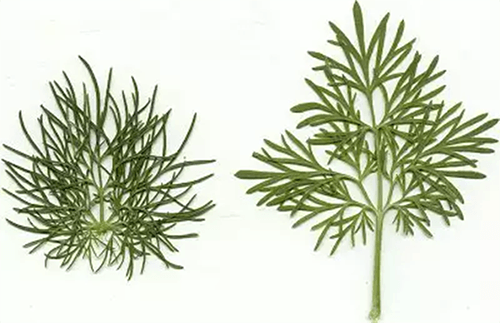 A cultivated ornamental annual herb that flowers in February-April. The calyx and corolla is characterized by presence of spur. Tap root, branched and fibrous. Erect, herbaceous, green, cylindrical, fistular, glabrous, branched. Simple, Cauline and Ramal, Palmately lobed and much dissected, Sessile, Exstipulate, Reticulate unicostate, hairy. Racemose – A typical raceme. Pedicellate, Bracteate, Bracteolate (two bracteoles), Bisexual, Complete, Zygomorphic, Hypogynous, Violet in color. 5 Sepals, Polysepalous, Petaloid, Posterior sepal forms a long spur, inferior. 4 Petals, Gamopetalous, the two posterior petals small and extends into a long spur which enters the spur formed by the sepal and the remaining two lobes are larger in size and enclose the essential organs, Blue or violet color. 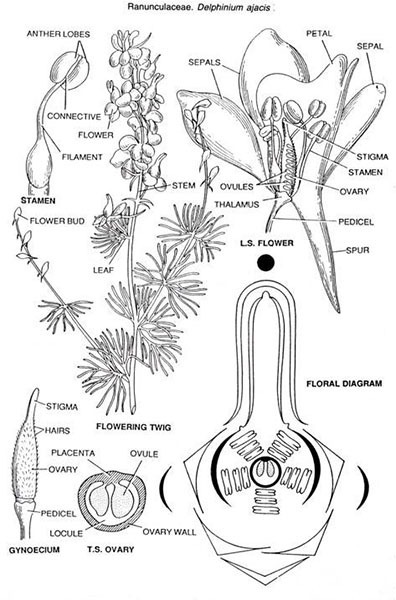 Stamens, indefinite, Stamens arranged spirally in five groups of three stamens each alternating with the petals, Polyandrous, Filaments flattened at base, Anthers basifixed. Monocarpellary, Ovary superior and unilocular, Placentation: marginal. The family of some economic importance. Ornamental Plants: Most of the plants e.g., Ranunculus, Anemone, Delphinium, Caltha, Nigella and Clematis are cultivated as ornamental plants in gardens for their beautiful flower. Poisonous Plants: Nearly all species produce an acrid juice which is sometimes extremely poisonous. 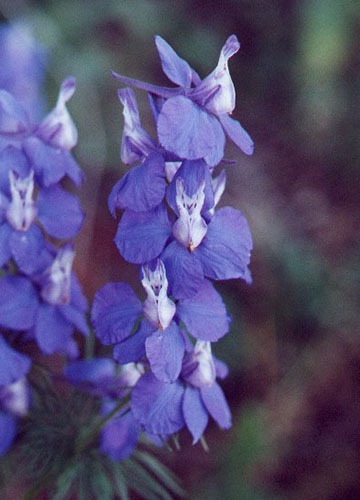 Medicinal Plants: The root of some plants yield medicinal drugs e.g., Aconitum heterpohyllum (Atis) yields the alkaloid aconitina while Thallictrum yields “mamira” used in ophthalmia. Condiments: Some are used as condiments, e.g., seeds of Nigella are used as condiments and as a drug.